He lived in a life that is surrounded by deals, drugs, guns, blood, and money. You knew that getting involved with someone like Bokuto would be bad for you and would have consequences. Yet, you can’t find yourself to leave and let go. Even if this is the life he has, even though he is the most eccentric man you ever met, he can make you laugh and always been able to take your breath away. Your relationship with him is unconventional. The lurking danger and the thought of forbidden love excite you too much. You love him. You love him. You love him. You truly deeply love him that it actually hurts. You had met and have been with Koutarou for almost four months now and you know that these feelings for him came too fast and unexpected. You liked – like – him and are very much attracted to him but love? You weren’t a fool and you know that loving someone like him would untimely lead to your death. But you do, you do, you do. And yet, you haven’t told him. Telling him would make everything seemed too real and it will lead to you letting reality sink. The reality of loving a man who has almost died in too many occasions, made too much enemies for him to be truly safe terrifies you too much. But if you had known that your time with him is already running out, you might just have told him. The thought of not seeing him anymore hurts. It would be more painful than heartbreak or any wound, however deep it is. You can’t have that. No. No. You still need time, you still need to see him one last time, to feel his arms around you, to enjoy the warmth he freely gives to you. But the clock is ticking and you are running out of time. You didn’t know. You should have known better. Should have listened to Bokuto and stayed with him for the night. But your house should have been safe. It had been yours and Bokuto’s little sanctuary away from the Fukurodani house. When you heard the front door open, even if it locked, you thought it was him, surprising you. You didn’t know and you were wrong. It wasn’t him and you should have known better. And now, you lie there surrounded by your own pool blood, trying to stay alive. Trembling hands touching the place where the numbing pain is coming from, you cried as you saw your own blooded hand. Vacant eyes staring ahead your cream ceiling, you let your hand fall to the side. You can already feel it, the heaviness of your worn out body. It was getting harder to breath and all you want to do now is sleep. Ah! Sleep. How many nights have you spent with him in your bed, a few doors down, just wrapped in each other’s arms as you slept like there is no evil lurking around. What could you do so that you can have that again? You tried to remember their words. They had apologized to you, the ones who did this. They told you that they didn’t want to do this but Bokuto needed the wakeup call they said. He needs to be brought down, a peg or two, they said. That he should have known that loving you would be his downfall, they said. But he doesn’t. He never said that he did or gave a clue. Why would Bokuto fall in love with someone like you? You are nothing special, just another face in the crowd. You were lucky enough to have him for a time, receiving his attention and affection. You can honestly say that these were the best months you ever had. You body is becoming numb and you just know. The time is up. No more chances left. So, you accepted your fate. As much as you could, you tried to remember everything about him. His sparkling eyes filled with determination, his dazzling smile and heartwarming laughter. So tired and sleep is now all that you wanted. You could only hope that Bokuto can’t see you in such a state. You don’t want him to see you so vulnerable, weak and dying. You were on the verge of giving up, you labored breathing starting to cease when you heard a voice. It sounded so panicked and broken. Even though you wished that he shouldn’t see you this way, you can’t help but selfishly want to see his face one more time. Then like a pause button, time spotted for you. The clock stopped ticking as familiar arms cradled you, giving you more time. There he was, the man you love so dearly. Tears were already running down on his delicate cheeks but you can’t find the strength to reach up and wipe them. Your muscles are too heavy and all you want to do is close your eyes and sleep. “[Name],” he cried in a whisper, his eyes dancing around your face then towards your injuries. Bokuto wasn’t listening though; he was shaking his head and calling for someone. “I’m sorry, I’m sorry, I’m sorry,” he kept on apologizing, his head dropped low as he let reality sink in. “Just hold on for a bit, okay? You’ll be okay,” he assured you but you know he was assuring himself, trying to believe in his words. Tears spilled on your cheeks as the man that became your strength heartbreakingly sobbed. “No you are not. It’s my entire fault. I should have come with you,” he cried. “You didn’t know,” you rasped and coughed, not liking the metallic taste in your mouth right after. “S’not your fault, love,” squeezing his hand you turned to look at another shadow by the doorway and you just knew who it was. “Tell Akaashi to leave, Bokuto,” you ordered, looking back at him with tired eyes. Eyes wide, he shook his head. “No. We need him. He’ll help you get better,” he cried, his chest wanting to burst and his insides felt hallow with what you are implying. He knows that death is inevitable for humans but this is too soon. He hasn’t told you yet about his true feelings and intentions. He isn’t ready for this. He will never be ready for this. “Who would lecture me when I am feeling lazy? Who would remind me that what I’m doing is wrong? Who would…who would remind me that there is still a flicker of light in my heart that is enveloped with darkness? “[Name], tell me who would remind me that my life is worth living?” He knows he was taking a long shot here, reminding you that you are a big part of his life. If you are going to leave him, how will he cope? Bokuto had told you once that you can ask him anything and he would give you everything. But he can’t give you want you want. The grey haired man can’t do what you want him to do. “Koutarou,” you started and somehow he knows what you are about to say. Shaking his head, he whimpered the heaviness of his heart slowly suffocating him. “No, don’t say it. Please don’t say it,” he begged as new batch of tears spilled. He can’t hear those words from you now that you are slowly slipping away from him. He couldn’t face a future where the girl he loves had finally confessed to him, wouldn’t be there. He blinked as he felt your body become limp in his arms. Time's up! The clock is ticking once more. I'm sorry! I know, I know my first fic for my baby owl and it's angst. It was supposed to be fluffy I promise you. It really was supposed to be but something hit me and I can't stop myself. Don't worry! Angst became my life. I'll make up to you Kou-kun! Don't forget to share your thoughts! so good and so sad!! how dare ou make me . . . . .wwaaaaahhhhhh~! I literally cried, oh my god this was too good. I mean the detail and the flow of the story was just downright perfect! PERFECT! Tissues! Do you need tissues?! Thaaank you. You are purrfect too reader-sama! What a great fic! I love your pacing and how quiet the atmosphere is, like nothing matters but this moment! Thank you! I hadn't portrayed Bokuto's emotions and feelings like how I wanted but it turned out okay. I appreciate your compliment though! Ahh oh my Iâ€™m really crying this was so sad!! Warning: I don't know if this would be considered angst but be warned! Note: Where soulmates are matched with a tattoo on their wrists. You hadn’t expected such a question but somehow you knew that it was inevitable. The story of how you met your soulmate wasn’t a story you are very fond of sharing. Because before he had found out about you, you had hated the idea of soulmates sharing the same tattooed symbol on their wrists. It wasn’t because you find it a work of fate and destiny because you do believe of them. Instead, it was Oikawa Tooru who made you question if it was true, that your soulmate is your perfect match, your better half. Akaashi Keiji isn’t the type of boyfriend who would get jealous easily. It all roots down to how much he trusts you and because boys tend to stay clear away from you. Not because you are undesirable, no, no, you are beautiful. Everyone in the Fukurodani volleyball team can asses to that. Bokuto doesn’t even need to sulk for them to agree. Boys wouldn’t dare approaching you because of you clumsiness and heavy hand. One slap on the back from you and your hand print will stay there for weeks. Truth be told he rather likes that about you. You, yourself are close to the boys in the volleyball club, but that doesn’t bother him at all. What bothers him is the scene that is in front of him. The setter was just going to fetch Bukuto from the school cafeteria when he stumbled onto you and some boy underneath the tree where you confessed to him. I don’t give a damn. No, I don’t. Not even the slightest; nope, not even at all. It wasn’t like you’re in denial, no of course not. Why would you be? Both of you ended the night in bad terms, of course he wouldn’t show up. The bad blood between you two that formed last night is still oozing and raging in your veins. Of course, you wouldn’t give a single damn if he may show up or not. Not even the slightest. Nope. All you have to think now is that you are hurt and needs a great distraction. You have to focus on what you are doing now. What matters is now and not yesterday or tomorrow. You convince yourself that if you do give a damn, it will be what you are supposed to be doing. Warning: Mild angst and profanities! Eyes drinking in the words, a boy stood there as fear slowly crept up his veins and into his beating heart. Who knew that I would fall in love with someone like you, Ushijima-san? When you had asked for my attention and confessed to me, I was shocked. I was more than shocked really. I had never thought that a boy like you would actually find me attractive and worth of your company. If I would be honest, I hadn’t returned your feelings that day. I only answered you because I was scared. You had confessed in front of an audience and I wouldn’t want to embarrass you if I would ever reject your confession. You knew, didn’t you? You always knew that from the beginning of our relationship, I wasn’t really into it because of my non-existing feelings towards you. Yet, you didn’t care. You had actually given me the space and time I needed. She can vividly remember what happened still. It was the twenty-sixth of April. It was raining; the clouds hung low and the sun hidden away. She was twenty, young and conflicted. The rain pouring gently as the day went on. The smell of cocoa and coffee mingling together is letting her relax her as she sat by the cozy armchair. The warmth radiating from her own cup of tea sent tingles on her cold fingertips as she watched the people rush out of the rain. The pitter patter of the droplets became music against her ears. She enjoyed how the somber atmosphere of the café surrounded her, the soft murmur of the people inside sending her into bliss. But on the same day, the rain witnessed how one man can make her light up, like she was the sun herself. He sat there in anticipation as the blue screen came to life. He silently watched as the dark blue screen changed into a dimly lit room with fairy lights hanged on the cream coloured wall. Polaroid photos scattered around the background, reminding him of the moments that made his heart skip a beat and fall a little deeper than before. “Hey,” you greeted with those heart warming smile of yours that would always make his knees weak and heart melting into a puddle. There you were, plopped down on your bed surrounded with thick fluffy blankets that warmed you from the cold December air. Glasses slightly askew and your [hair colour] pulled into a messy bun. It only took a glance, eye colours clashing together, to feel a heart skip a beat. It started with a glance. Both of you hadn’t known it yet but it was the spark that started the fire. Freshly out of junior high and planning on starting fresh in senior high, two people planned to forget and leave all behind the angst, tears and heartbreak. The distance between the two of you hadn’t change until the middle of the year. You were three doors down from his. And it is inevitable that both of you will see each other loitering around the long hallway with your significant group of friends accompanying both of you. With the sound of a whistle slicing through the sudden silence that engulfed the place, screams and squeals erupted throughout the whole gymnasium. No one had ever thought that it would happen but they did. Karasuno had defeated Shiratorizawa during the finals. After years of being known as the ‘Flightless Ravens’ and ‘Champions of the Old’, they had showed everyone what they are made of. Still hugging the younger blonde girl by her side, [Name] can’t help but let his eyes wonder down to the other side of the court, her gaze locked with the boy with magenta jersey on. His head bent down and fingers curled into tight fists by his sides. The sight that had greeted her made her heart clench towards the third year. A loud whistle sliced through the tension as the ball smacked against polished floor of the Sendai Gymnasium. 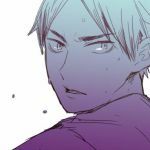 Daichi stood by the balcony, frowning as he looked around the court. As soon as his game had ended, he was quick to pull on his jersey jacket and went straight to the other side of the gymnasium. With a heavy sigh, he turned around to go back to where the others were when he bumped into you. Eyes widening, the volleyball captain drank you in, eyes moving from your school’s blue shirt down to your aqua jogging pants before it settled on the shoulder brace you are adorned with. Shaking his head, not actually believing the truth even if it is in front of him, he slowly walked towards you. He never quite understood your love for flowers. They were just as meaningless to him as most things in the world. Quite similar to humans, flowers are born from a seed and continue to grow until their day of passing. To Tsukishima, there was nothing about them that was worth adoring. “Look how beautiful they are, Kei!” you would exclaim as the two of you would walk past the local flower shop on your way back from school. “Uh huh,” was his typical reply as he would keep on walking by, not even bothering to give the shop a second glance. please don't read if these themes make you uncomfortable !! It wasn’t a castle — but you liked to believe it was. It was a pile of rocks haphazardly molded into a messy pile on top of the grassy knoll down the road from the backyard of your grandparents’ country home. Your brother Tooru and his friends claimed it as their own, making a fortress out of gravel and loosely strewn twigs and patches of earth. It was with a quiet shock, on what would have otherwise been a normal, crisp, foggy autumn morning at school, that [Name] finally realized the truth. In hindsight, it was the sort of thing that should've been obvious. Thinking about it afterwards, she felt like she'd always sort of known, in the back of her mind. It was as if she'd been living in a room with the curtains eternally drawn, the bright light forever looming as a possibility but never an acknowledged desire. But it was not a happy discovery. It was the discovery that caused her to accept the simple beauty of Tetsurou's smile and the way it brightened the day and parted the clouds. Of course, it had forever been that way. He had always been a light in her life, nothing had changed there. And while all the movies and the cards and the books would say that this realization of complete, unadulterated adoration is beautiful, [Name] discovered that quite the opposite was true. The sound of the ball hitting the ground filled your ears and echoed throughout the gym. You couldn’t help but smile at Bokuto’s antics while Akaashi stood to the side. 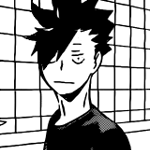 Neither of you waited for his reply as Akaashi took your hand and led you outside the gym doors. You smiled at the feeling of his hand wrapped around yours and blushed as you noticed how well the uniform fit on his body. Once he turned the corner, he stopped and turned around to bring you into a hug. 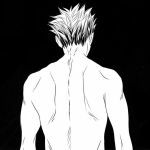 Smiling, you started to rub circles into his back to soothe his nerves. You furrowed your eyebrows in concentration, gaze unfaltering. Tracing a finger lightly on his swelled knee, you heard a sharp gasp coming from him. He grumbled out something you couldn’t understand, making you turn to look up to him from where you were kneeling. Sweat glistened on his temple while strands of his hair clung to his forehead. His eyes were on anywhere but yours, mouth fixed on a grimace. “Hm?” You tilted your head in question, waiting for him to answer properly. His dark blue eyes bore into your (eye color) ones, before looking away with a ‘tsk’. You rest your head on Iwaizumi's shoulder and feel the warmth of his arm wrapped around your body. Resting against the tree's trunk, the shade of the branches protect you from the harsh sun. Iwaizumi moves to press a kiss against your forehead, but nearby squeals are heard from the seats near you. He looks towards the squeals, finding your friends holding their faces in delight as you share a small amount of pda. You both blush in embarrassment, but laugh at their reactions. You cuddle up to him, moving your body towards his as you practically lie against him. 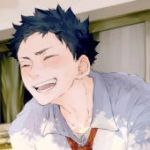 "Then he reaches out, gently moving hair out of her face..."
Iwaizumi's action stops as he hears an all too familiar voice whispering in the bushes, accompanied with chuckles. Rain. It mercilessly attacked the ground, bouncing off the softened bark of the trees with graceless ferocity. The clouds were enraged, dark and stormy with a damp anger that they unleashed so heavily onto the Earth's terrain. It stuck to his uniform, drenching his hair that now plastered itself to his forehead, much to his annoyance. Flicking it out of the way, he made a vague attempt at surveying the fog-infused area he was in. He craved control from the very beginning. It was something he couldn’t live without. The infamous King of the Court needed power over everything; the ball, his opponents, and even his own teammates. Especially his teammates. 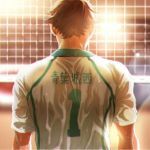 His position as a setter pushed false notions into his mind regarding his power-hungry demeanor. He truly believed he was superior to everyone around him and deserved to have such power. This outward behavior of his may have dispersed for the most part after attending Karasuno High, but old habits die hard. He didn’t just harbor this overbearing personality on the court. Whether he was on the court or off it, he still craved to experience the feeling of complete control. The firmament is brimming with monochromatic colors - smudges of gray splashing over the blanks in the most chaotic way, knowing no formality at all. Miniscule beads of water come pouring down in all directions, spilling tears on places where sparks of happiness once resided. It was cruel, (Name) whispers, her silent voice loud enough for the world to hear. An audible wind brushes past her hair; a gesture that the rain won't be stopping anytime soon, which adds to her perturbation. (Name) doesn't respond and instead, glares at the water soaked flowers. They were sunflowers a while ago - they were cocooned with the utmost gold, they were draped of celestial brilliance. And because of an uninvited storm, they have lost their radiance. word count: 1,287Monotony is apparent in the gaze of lethargy, hues of a gold possessing no particular focus in the luxurious suite. Fingers laced with bands of silver and gold percuss a light rhythm into the armrest. Patience is never considered a trait that strengthens him, however its lack is hidden beneath a mask of charm more suited for a gentleman. If he were a man of a respectable nature, perhaps there would be consideration of him as a gentleman, however that is far from the case. 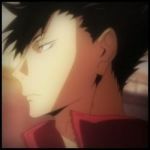 Having assumed the position of leader of a group known as Nekoma, referred to with an ironic affection as the 'black cats', his personality was not one of a gentleman's. It still feels so wrong, and you still hate yourself for feeling this way. Nearly three months have gone by since Kurumi and Hajime got together. Three months of tears, three months of regret, three months of lost promises. As you watched their relationship blossom, you watched your seedlings wither young. Soon they became nothing but grey ashes that layer over your heart with the pinpricks of jealousy. But you know better than to remain bitter. 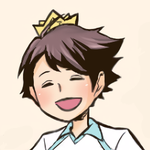 At least it wasn't like iwaizumi had completely disappeared from your life. The rare times you did get to see him without kurumi felt like a cool summer breeze, strong enough to sweep away those ashes. And so you held onto those moments within your grasp, precious and fleeting. Heart Goes Warm | Lev HaibaLev likes when his heart goes warm. It’s a good feeling; he’s a bit lighter on his feet, he can’t hold back the smile on his face and the world’s colours are alive and bright like the god up there has put on a happiness filter and everything’s better now. Lev absolutely adores when his heart goes warm. The lucky thing is, his heart goes warm regularly and for lots of different reasons. It goes warm when Yaku praises him for the first time in a while (he starts bouncing up and down, Yaku yells at him but there’s a small grin on the libero’s face anyway). Then it goes warm at the sight of little kittens, little flower buds, little things like managing a block and the team applauding him for once. Or when he can smell inarizushi being made as he goes home after practice - that makes him happier than he can begin to describe. Lev loves when his heart goes warm. The sound of the coffee machine resonates throughout the coffee joint and the scent of coffee wafts amongst the customers relaxing at the tables. The auto doors slide open and customers walks in towards the counter. In the process of brewing a drink, Kageyama hears the call from Hinata of new customers. He walks towards the counter, facing you. "Your order?" The girl infront of him glances down at the menu before looking up at him to order. She takes in a small breath and says, "A 2/3 caff triple ristretto affogato venti, 2 pumps mango 1 pump classic, 2%, mango to the second line, 3 scoops of protein, 3 scoops of berries, 2 scoops of matcha, add banana, double blended, with whip, caramel drizzle...hmm..."
Akaashi stands idly in your room, surveying the mess. But, having often resorted himself to cleaning up after you, this is nothing new. Books are scattered to and fro appearing in every knock and cranny, your clothes are still strewn haphazardly on a poor chair in the corner, and a stack of paper flutters against the gust of wind from an open window. It’s cold outside, but Akaashi packs away your winter clothes anyways. The soft down still gives off a subtle smell of your shampoo and he hesitates when putting them in a storage box. Next he looks at your desk, left untouched for the past week. Your various pages and manuscripts still scattered about, carrying stories brimming with life, waiting to be read. Akaashi knows not to touch your workspace, but he does. Just for once. This time, pouring over your stories. Bits and scraps that you’ve jotted down in your spare time, and the long thought out ones that tell stories of dreams and hopes. Reforget | Bokuto Kotaro"Hey, hey, hey," he sighs in the cool of the room as the ghost of alcohol swallowed remains stinging the back of his throat. Was "the best day of everyone's third year" always like this or had his just sucked? And he'd looked forward to it, to seeing you dressed to dazzle and smiling celestial as you always did amongst friends. Bokuto had had prom planned (well, he'd only started looking for a suit an hour before it started and he was hella lucky Yukie's brother fitted him; in all honesty, he'd woken up just a couple minutes before that after a late night at the gym) but he'd planned to enjoy and to go wild with the friends he'd soon never see again. And you walked in and his world became a HD chrome. And then Akaashi walked in and you kissed him and his world had never been so dark. Come, set your imagination free!